Peanut my vegetables! Enjoy a flavour explosion as you eat your veggies. Char grill or roast eggplant and pumpkin. Combine KNORR Malaysian Satay Sauce GF and KNORR Thai Sweet Chilli Jam. 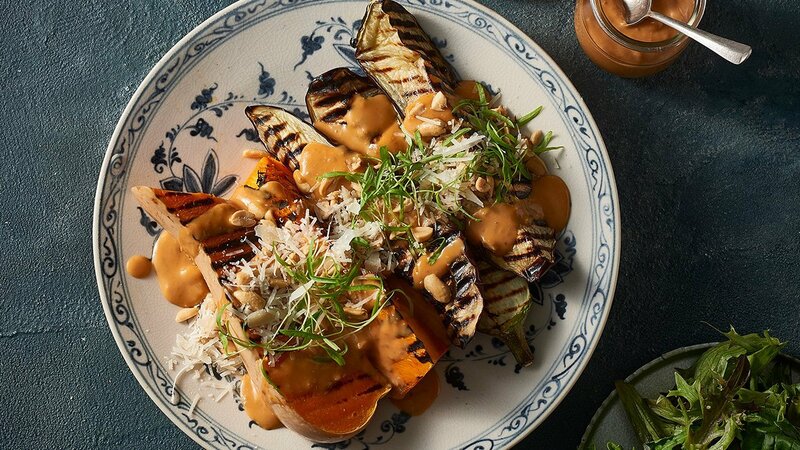 Place eggplant, pumpkin on a platter along with salad leaves, garnish with parmesan cheese, roasted peanuts, micro herbs and pour over dressing.